Bread is the staff of life. And that means baking in an oven. Many dishes like casseroles require an oven. 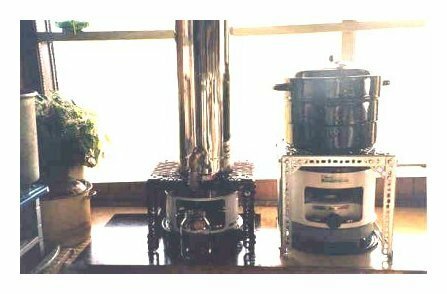 Yes, you could survive without being able to cook in an oven, but please note that our grandmothers felt horribly deprived if they didn't have a proper stove with an oven...everyday cooking virtually mandates it. The Butterfly #2421 oven is not the same as the Coleman folding camp ovens. The #2421 does not fold up, it is insulated with internal panels, and it has two adjustable racks for baking, all radically different from the Coleman. The #2421 oven does require a high flame height to achieve baking temperatures, but baking temperatures are uniform throughout the oven. 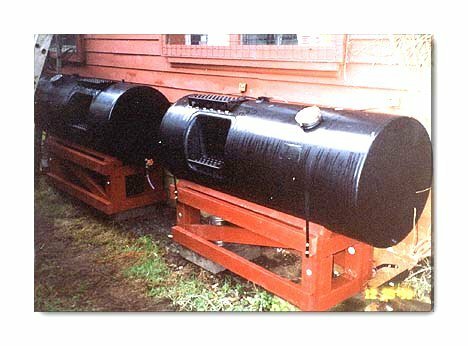 The Coleman, being uninsulated, requires an extremely hot flame and the temperature is not uniform, so bread can burn on the bottom before the inside is properly done. 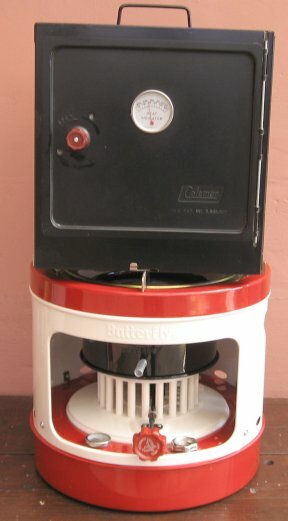 "Butterfly" kerosene stove ovens are available from www.StPaulMercantile.com . St Paul Mercantile is highly recommended. Their prices are low and service is high - a great combination! 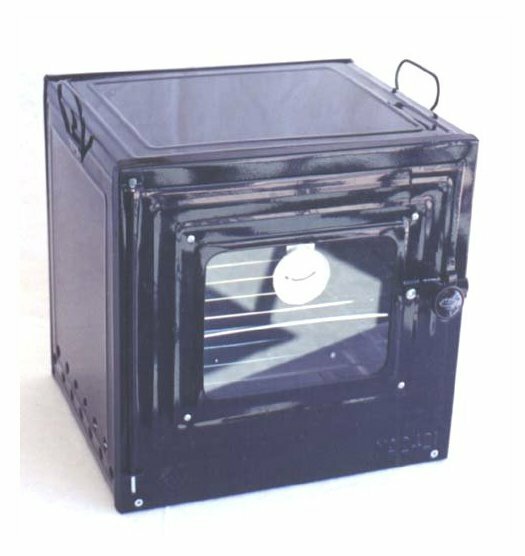 The Butterfly #2421 is a relatively large oven at 14 inches square and has an bottom opening of approximately 9" x 10," with a flame plate below the bottom oven rack. It must sit on a large, flat cooking surface. 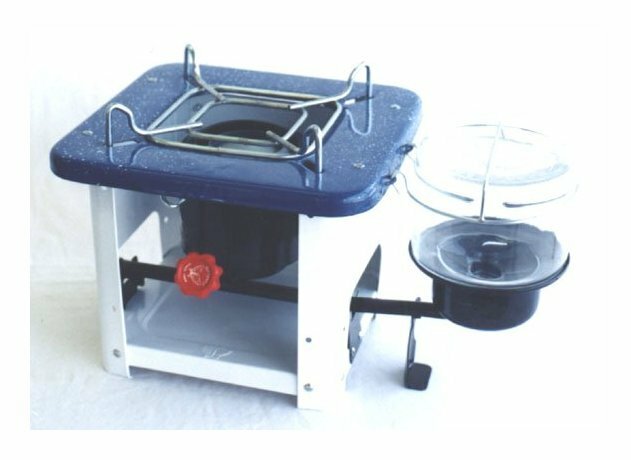 It will not fit on the small #2412 pressure stove or even an Alpaca cook stove, as the Alpaca has four tapered "wings" to support cooking pots only. Of course the oven can be placed on a cooking stand and be supported by the stand over a small stove. The useable size of the Butterfly #2421 oven is established by the size of the door and by normal thermodynamic principles - ovens work because hot air can flow around the object being baked. The door opening is 11" wide by 9" high. The inside depth is 11". Baking pans of approximately 10" square are about maximum for proper heated airflow on all sides of the pan, and the height of 9" is more than adequate for bread and casseroles, for example. Many Butterfly stoves have a top rack specifically designed to hold the #2421 oven, including all the gravity-flow models such as the #2413, #2416, #2417, #2418, and many of the multi-strand will also work under the oven, such as the #2457. I have kept a #2457 oven for many years specifically to use with the oven. Years ago I gave a #2413 as shown at right to my mother. Note the top rack which holds the oven securely.